The WTT works with the XTC inflator, measuring the actual temperature of the air in the working tyre. The temperature is sent to the inflator which automatically compensates to inflate (or deflate) the tyre to the correct pressure. Rechargeable Li-Ion battery, auto power off. Dust & water protection cap for charging connection. Approximately 500 operations on one charge, Nitrogen compatible. 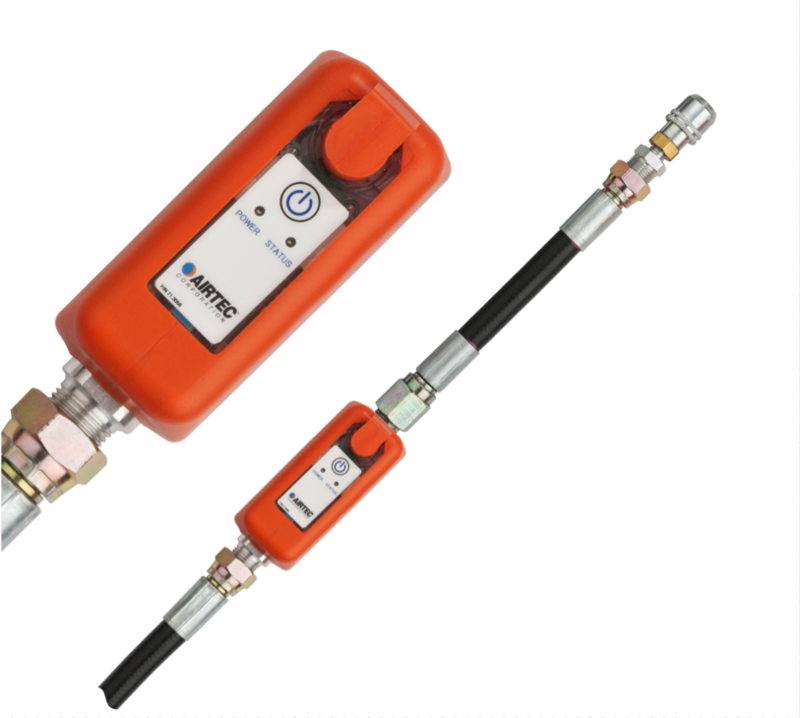 Small and lightweight, this in-line wireless temperature transmitter has been developed specifically to work with the XTC Temperature Compensating Inflator. Featuring RF remote control connectivity the unit is powered by a rechargeable Lithium-Ion battery. Built to perform in tough environments, the body of the sensor is machined aluminium and is protected from impact by a molded rubber jacket. With a simple one press operation the inflator will deflate the tyre for a short period of time which allows the unit to measure the working temperature of the tyre. The XTC inflator then calculates the pressure required to achieve the set inflation pressure. Construction Aluminium body with high impact polycarbonate (UV stabilised). Fitted with rubber impact protection jacket.